Hotel Muses, a Greek category B hotel, is situated in a quiet area south of Faliraki centre, 200 metres from Kathara bay and only 350 m from the small harbour of Faliraki. It is an ideal choice for holiday makers who want a peaceful day relaxing whilst being close to the night life of Faliraki, only 800 metres away. Supermarkets and other shops are within easy walking distance. 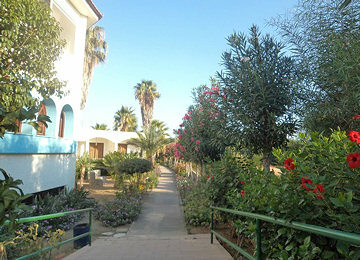 The hotel has 5 buildings with 41 double rooms all with balcony or terrace in a large garden area. 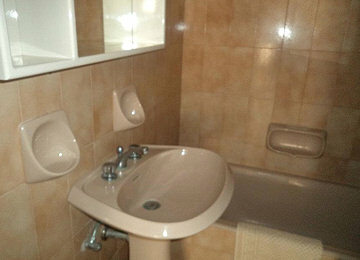 All rooms are equipped with bath/toilet, air conditioning and telephone. 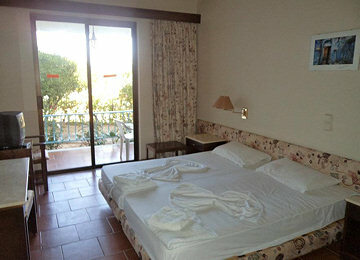 The rooms can be booked as single/double, or with the addition of an extra bed as triple and also with or without breakfast. 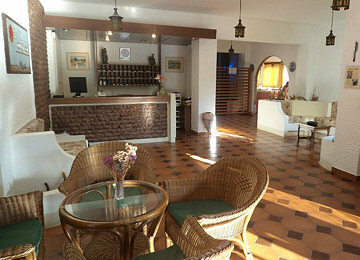 In the main building there is a reception area and bar with a breakfast room. 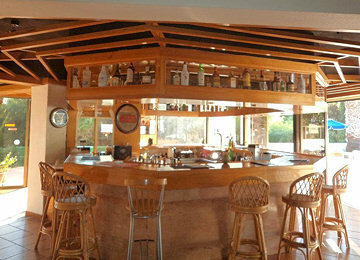 The pool bar offers a choice of snacks including hamburgers, toast and spaghetti. 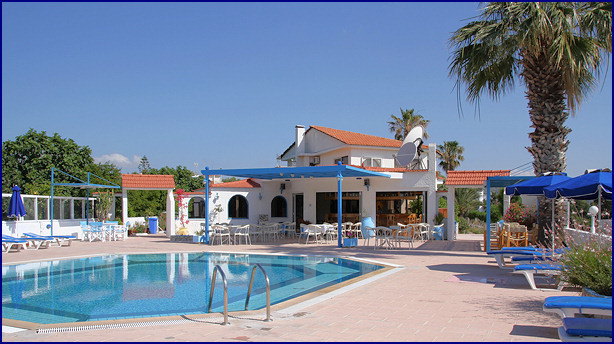 Just 200 m away are more beach tavernas to enjoy. 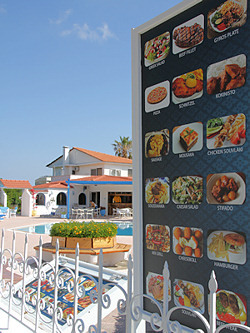 In our hotel we have also a restaurant, where we offer various typical Greek dishes. 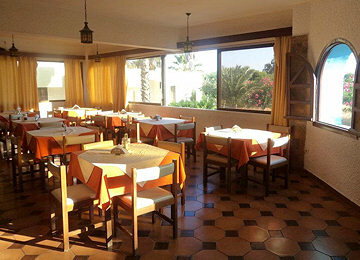 The restaurant is also open for guests who are not staying in our hotel. We would be glad to welcome you as our guests! Make holiday in a hotel with kind atmosphere !